In our 10 years in this industry we have met some incredible couples. We are always delighted and humbled when couples send us thank you cards or excited feedback. 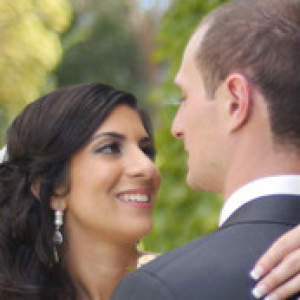 We know that the wedding videos we produced will be cherished for years to come. It’s what keeps us going. We want to thank all the couples that have entrusted us with filming their big day. To Anthony and the Video Boutique team- THANK YOU! From our very first meeting until our wedding day and during our wedding day, you provided us with a calm confidence that one of the most important aspects of our day, the recording of the memories, were in good hands. You were attentive to our requests, gave us some great advice and made us feel comfortable enough to be on camera (which can be nerve-racking!). We are so impressed with the final result, your candid style is beautiful and emotional, and we have already watched it over and over, sharing it with family and friends and can’t wait to share it with our own little family in the future. 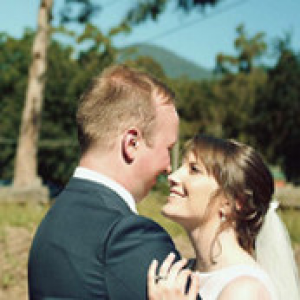 We would highly recommend Video Boutique to any other couples planning their big day. Neil and Halide. We love our wedding video. It’s a fantastic memory of our special day, and we really enjoy sitting down with family and friends and re-living all the highlights of the day. Faz captured some truly beautiful moments, between not only the bride and groom but with the whole family. It was wonderful seeing their joy as we exchanged our vows. He was also an absolute pleasure to work with on the day. Ellena was creative and collaborative in editing the video, and really captured the story of our wedding day. Our highlight has had almost 300 views on Vimeo (pretty amazing considering there were only 100 people at the wedding) – a testament to how gorgeous and captivating the film is, and there will be many more views in the years to come I’m sure. Thanks to the whole team! We love our videos. We watched the ENTIRE video on Saturday night, documentary edit and all and we had an absolute ball watching it. The documentary edit was hilarious, I loved it! The highlight and film are absolutely amazing! We had a number of family members (including Mitch’s grandparents) that were unfortunately unable to attend the wedding as they live overseas. 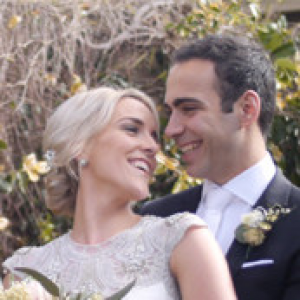 We are so thankful for all the hard work you, Charles, Faz and the entire team have put into our wedding as we are now able to send this beautiful footage to our family and they too can experience the joy and happiness we felt on the day. Anthony thank you so much for your patience, for being so warm and friendly and also for being so helpful! Mitch told me that you put the boutonnieres on the boys that morning as no one knew how to put them on! You truly went above and beyond the general call of duty and for that we are truly thankful. Who knows what the boys would have looked like if you weren’t there! 🙂 Thank you to both you and Faz for all the beautiful footage!! You both are so talented! You truly captured the the day from our perspective (fun, laid back, happy) and we felt completely comfortable and free to be ourselves around you both which was something that was very important to us! So thank you! To Charles and your team. WOW, Thank you! The final product is truly stunning! We thank you so much for all the time, effort and energy you and your team have put into our video. We know that editing is not a quick and simple task! We understand the end result isn’t just put together in a matter of days. While we may never know the hours your team has spent editing we can definitely tell by watching the videos that many many hours, effort, energy and love has been put into our wedding and for that we are so appreciative and thankful for all that you and your team have done. As I’m sure is the case for most couples…our wedding day went so fast, I barely remembered the day! It’s so wonderful that through your amazing team we now have these beautiful memories of our special day and can literally relive the day any time we want! Thank you again for everything! We wish each and every one of you all the very best for the future! When the idea of organising a videographer was thrown around, we weren’t interested. It just seemed like another thing to organise and something that we wouldn’t notice if we didn’t have – and we were wrong! We are so glad that we booked Video Boutique to capture our wedding day, we could not imagine not having such a beautiful way to relive our magical day. The care that Anthony took in capturing the little details meant that we were truly able to relive every moment of the day, noticing things that to us were a haze on the wedding day, and adding them all together to create a beautiful reflection of a truly joyful day. We cherish the videos that have been put together for us by the team and count ourselves as blessed to be able to have such a special collection of memories that are so dear to us. Anthony truly captured the tone of our day, through his fun, creative and joyful shots which really reflected the nature of us as a couple, and the nature of the day that we had envisioned for months! The videos are more than we could ever have hoped for and we are so thankful to everyone involved for the care that they took in producing for us a beautiful recollection of the best day of our lives! If you are having any hesitations about the need for a videographer on your wedding day, let me assure you it is something that you will be thankful for for many years to come! Thank you Anthony, and thank you to your wonderful team! We just wanted to say a HUGE thank you for capturing our day so beautifully. We love our wedding video, and especially the highlight clip that our friends and family are blown away by. Anthony, you were a real gift to us on our special day. You were so unobtrusive and more than that- you were considerate, friendly and warm not only to Caleb and myself, but also to the photographers and our guests. We cannot thank you enough, or speak more highly of you. In fact, a friend of mine who works for a marketing agency saw the video and wants to get in touch in regards to a project. I hope you don’t mind but I passed on your contact details and you can decide whether you are interested. WOW! Thank you so much for capturing our special day so beautifully. Your professionalism on the day was outstanding, and we just loved how well you worked together with our photographer, even though you only met each other on the day! We absolutely love the DVDs you have created for us; the editing and music tracks chosen are a true testament to your creativity and eye for detail; for which we are so grateful. It was an absolute pleasure working with you – we can’t thank you enough for bringing to life the memories we will treasure forever. We will recommend Video Boutique to all of our friends and family. The team at video boutique are absolutely AMAZING!